Ask anyone who works remotely about their quality of life, and they will gladly indulge in telling you every bit of it. The freedom from regular office life has proven to be quite liberating since this lifestyle has become quite accessible. Thoughts of remote work conjure up images of people taking surf breaks from their pop-up beach offices or working from the trendiest cafes in every corner of the world. However, remote work also allows many to work at home, in the presence of their children, or perhaps to balance other simultaneous interests. The lifestyle also frees many from life-wasting commutes, or high rents in business districts, as they just no longer need to be present where business happens. Most of this is old news to the tech community, especially this readership. 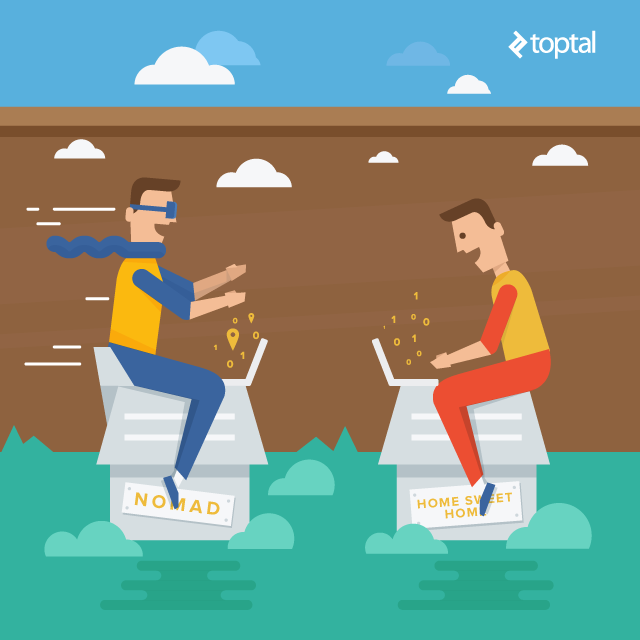 However, often the idea of remote work is focused on the lifestyle of the digital nomad. There are several avenues for the traveling worker to construct their life as they wish. However, those who want to set their roots a bit deeper should be able to take advantage of the freedom of remote work as well. Unfortunately, typical housing scenarios in most cities don’t necessarily allow for the same freedom that the remote work can offer. Although alternative living situations aren’t very familiar just yet, they certainly exist and are on the rise. Housing and lifestyle alternatives for every kind of remote worker. No matter how exciting remote work can seem, there can still be challenges in balancing the individual’s needs and values. 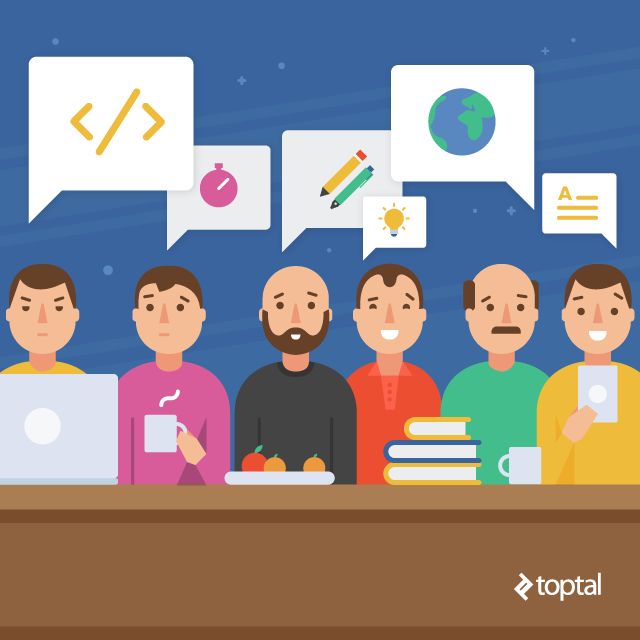 The often recurring issues are somewhat paradoxical to the whole idea of remote work. For many, the lifestyle can be isolating, and for those who often move, there can be a distant sense of belonging to any place or community. Social isolation can be difficult for those who travel to places where they can no longer communicate, but it can even be challenging for the remote worker at home. The formal workplace, although restricting, does offer a lot of opportunities for social interaction. Whether you’re working from the beach, or your home office, going a day without enough face to face interaction can induce loneliness. To combat this, many remote workers focus on routines, consistent video calls, or scheduled meet ups with online communities to ensure that they get their socialite itch scratched. These things are all great and are useful strategies. However, it seems like a lot of extra work, rather than having this sense of community built more resiliently into one’s lifestyle. Therefore, the issue is to improve how we set up where and how we live. The common types of housing, whether it’s the individual apartment cell or suburban detached house, only frame the life of the individual (or the individual and their family). There aren’t many systems in place to encourage social mixing. 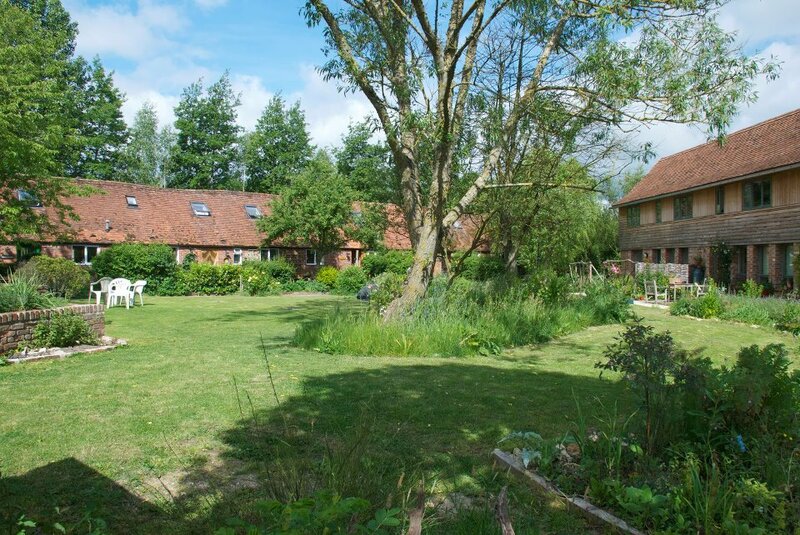 Each of the living alternatives in this article is some form of co-housing; however, each model is tweaked towards a particular type of lifestyle. Some of these models are dependent on the new sharing economy. But, they are all based on a pretty old idea. As urban centers quickly densified during the industrial revolution, there was a housing crisis. Suddenly everyone rushed from their rural lives to find better work in the urban factories. Different models existed, as they do now, depending on the societies and conditions that required them. In the urban setting, most of these were residential hotels with shared kitchens and other living spaces, smaller personal spaces, and month to month tenancies. Although this type of life sounds sparse, it was common for people of all social classes. Some units would be luxurious for the bourgeoisie, while others more modest for lower-income residents. However, we will also look at less dense forms of co-housing. For those hopping from city to city as an indefinite living plan, there aren’t as many generalized strategies to discuss as there is inherently more freedom to experiment with radically different options. For travelers, as opposed to remote workers that are still more sedentary, each condition becomes much more subjective depending on location and the individual. One day you’re at a lovely Airbnb in some European metropolis, the next you bumming it on a beach in Bali. Although, one constant that is often discussed around remote work and travel, is how to remain social or find a sense of community along the way. To provide a sense of ‘community’ is one of the most common phrases used to market retreats for digital nomads. 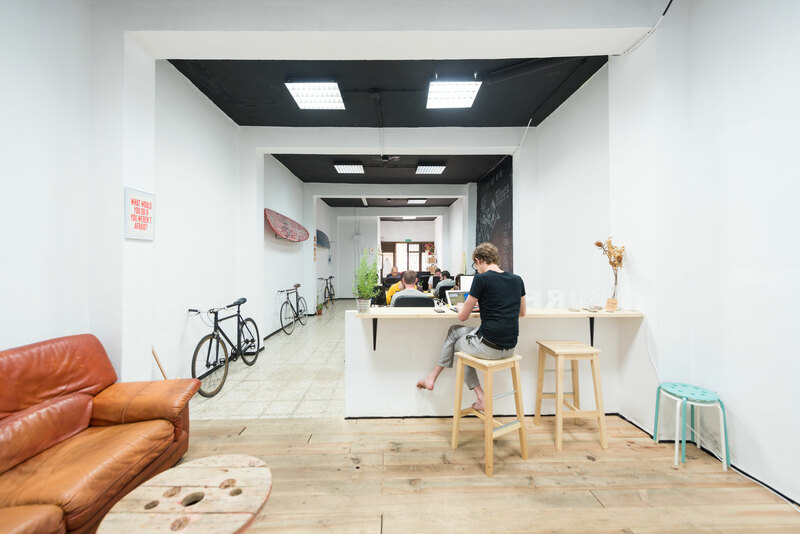 For example, the line “Surf Office is a community driven workplace and accommodation,” is the company’s primary tag. The organized events, communal spaces, and guides to the surrounding city offer much of what the experience-seeking nomad is seeking. Similar retreat services to SurfOffices are Start-Up Retreats, Outsite, and Blue House. However, many of these ‘retreat’ driven locations aren’t priced to allow most nomads to use them sustainably. As well, the barrier of repeatedly needing to request a booking in these sorts of accommodations is a little bit restricting. An attractive alternative however though is the young startup Roam. The premise of this business model is to allow the individual to pay a single lease that would enable them to stay at multiple locations around the world. As of right now, they only have three locations: Bali, Madrid, and Miami, but they’re quickly growing. Although you might be able to change locations every week. They encourage that you stay longer, at least a month. The living community is then able to organize activities or outings along with the Roam team, or even independently. The activies include pecha kucha nights to learn about other’s work or interests, or just communal dinners. The individual has their own private space, but some amenities are shared to encourage casual interaction such as the kitchen, working areas, courtyards to hang out, and other flexible spaces for events. Thus, there is plenty of potential for the community who lives in a location to have an influence on how these spaces are used. 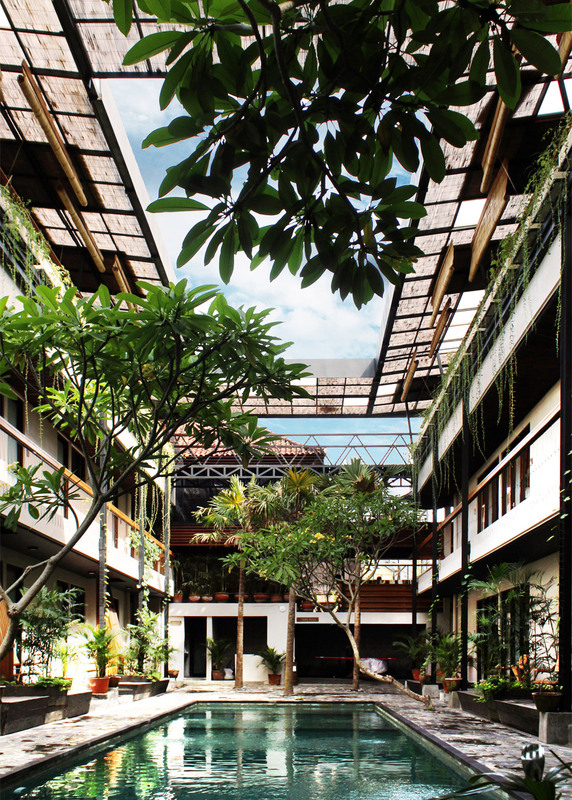 An architect from Berlin who holds a remote office in the same Bali location designed each of the Roam locations. Each unit thus far has been a re-forming of existing buildings in an urban setting, thus where you stay will always feel integrated into existing communities. This is a valuable opportunity that this model offers, that if at any point the individual feels that they would like to set some roots for a while, there isn’t much to change in the logistics of their lifestyle to do so. In staying the individual doesn’t give up their freedom to quickly move either. For some, although they like the idea of travel, may prefer to stay where many of their friends or colleagues live. New friends are great, but so is the old gang. However, the individual should be able to live locally, while still being able to pursue the experience driven lifestyle that many prefer. In other markets, business models based on ownership are quickly being replaced by service models. This is unfolding in housing now as well. When not working, many young professionals would prefer to spend less time at home, and more time out with friends, exploring the city or seeking experiences. Thus, why pay in your rent fees for these spaces that you don’t frequently use that often? In many major cities, housing that resembles student housing is becoming standard. Similar to the model for Roam, the individual gives up amenities like the kitchen in their own private space for a public one. Shared office spaces are integrated as well, giving a sense of distance between the remote worker’s living and work space. The shared spaces are essential for encouraging casual social engagement. Although this causal interaction is good for one’s health, consider how it might be a critical opportunity for developing business, intellectual or artistic relationships as well. So many companies or collectives being in university simply because of proximity between like-minded individuals. Thus, incubating a community of young professionals around a dinner table every night, who each pursue their own passions, would be a fantastic opportunity to broaden one’s knowledge and exposure to interesting things. The communal dining area becomes a place for all types of social mixing. In New York and DC, the company We Work has started We Live. The things shared range from rooftops, tv rooms, arcades, and all ‘all of the beer, coffee, and tea that you can drink’. 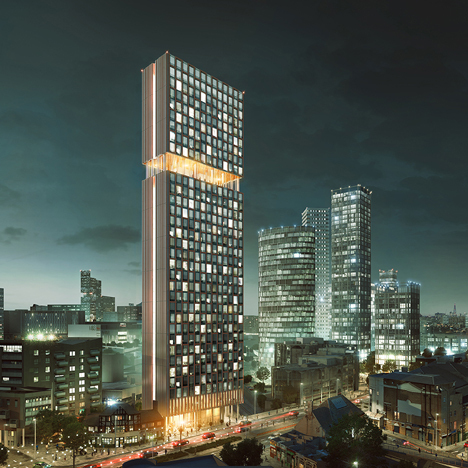 An ambitious London-based start-up, The Collective, is doing so well that it already has several high rises under way, entirely devoted to co-housing and amenities for its inhabitants. Some of these projects have been guided towards entrepreneurs, providing plenty of office space or meeting rooms, while others are for a creative class, with stages, drawing rooms and libraries. Another great benefit to those who value their freedom is that many of these contracts are month to month. If the place starts to feel old, it’s pretty easy to pick up and go without cost. According to the London TV and design personality Naomi Cleaver, the next market for this type of student accommodation is directed towards established adults as well. Often, the remote work lifestyle is overly associated with the image of the young and free digital nomads. However, not everyone who works remotely is necessarily able or desires to lead such a lifestyle. For example, much of the remote digital class have families, and so a sedentary life is necessary, or more desirable. Although many of the benefits of remote work apply to sedentary people, social isolation can become an issue. Even with a regimen of taking the time to drive the kids to school, getting to the gym regularly, or walking for coffee breaks, the reality of working from home can often result in a less than ideal amount of social stimulus. This can be the case for anyone living in a variety of arrangements, whether it’s the suburban home (where you have room for your three kids), or even the small apartment with a coffee shop on the ground floor. Social isolation is a reality, and studied concern of contemporary life, even for those working ‘normal’ office jobs. So, what’s a person to do? If this condition is inevitable, what options are there, other than ensuring to attend regular community meetups, and scheduling yourself into book clubs to get yourself out of the house? Of course, these sorts of communities are valuable; however, they don’t necessarily offer sustained social encounters. There’s a different type of stimulus that we get from the unexpected run-ins or casual gatherings that are somewhat harder to come by these days. As well, for those with families, the social support of physical neighbors is irreplaceable by any digital network. Many of theses sensibilities might seem a bit romantic, or nostalgic, so lets me also question the financial shortcomings of common housing. In most other markets, the sharing or service economy has reinvented our understanding of ownership. Airbnb, of course, is having its effect on housing, but its benefits don’t extend as much into the lifestyles of the sedentary family. Considering all of the new services that we now enjoy, doesn’t it seem a bit outdated that most families still buy their own yard tools, each enrolls their kids into distant expensive child care programs, or keep their outgrown or good things to gather dust in private storage? If you’re looking for a way to live sustainably, then the Threshold Farm is the place for you. If Uber, Google Flights, Airbnb and a remote job can all enable the digital nomad to seek life experience around the world, what options are there for the homebound remote worker? Recently, co-housing models have seen a resurgence in Europe in response to both the decline of affordable housing for young professionals, as well as an effort to regenerate social life in isolated communities. Some models focus on sustainability, others on sharing services through time banks. Often the services that are shared usually focus on the example of the elderly resident who may be able to trade child care services for some extra cash flow, or the mother with a cleaning service that she can offer to the community. So, imagine that when working from home, you might be able to benefit from this sharing economy to perhaps take a break with a french class from the retired teacher, or offer to keep an eye on the courtyard playground, while other parents leave to their respective jobs for the day. If you feel as though the lifestyle offered by something like Surf Office just doesn’t apply to you, there are ways to construct your own lifestyle in the ways often promoted by the nomadic class. 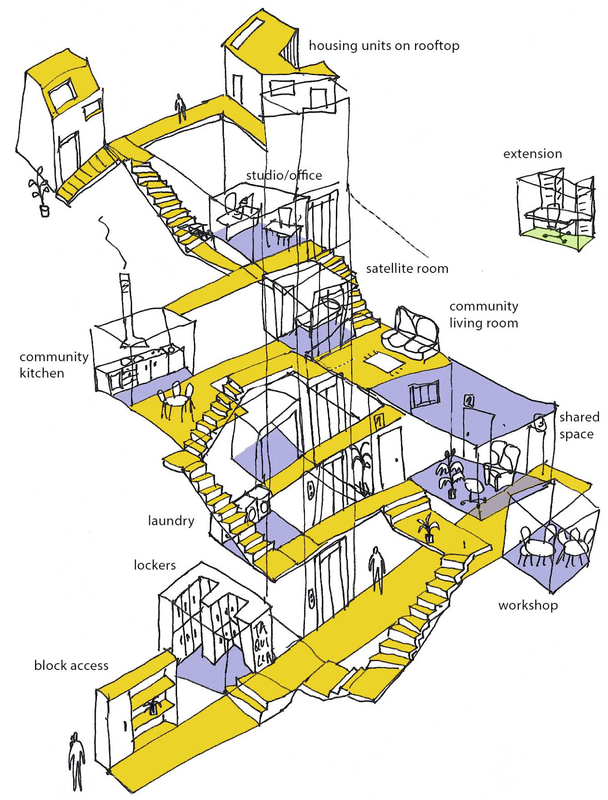 The community shares kitchens, rooftop spaces and storage access. Maybe you’re someone who is looking to give back a little bit with your flexible schedule. This Spanish project includes family housing with residences saved for those in ostare for Alzeihmers. Although the Alzheimer’s patient receive some professional care, local residents are nearby to help out with yard care to reduce rent. Perhaps you have a green thumb and would rather take part in a gardening initiative beyond the boundaries of your backyard. What if your family is expecting? 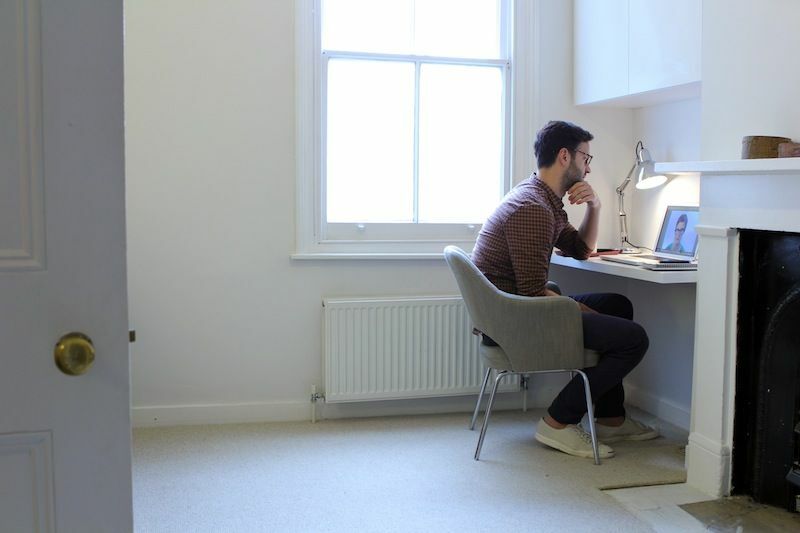 Could the flexibility to work from the coworking space free a second bedroom, and save you the need to upsize your home? Although the cohousing market is seeing a resurgence, most of these models aren’t necessarily new concepts. However, the success of sharing economies in other markets has made cohousing seem suddenly much more realistic to many. However, although remote work is becoming more and more common, the lifestyles that it affords have yet to be actually marketed by this community, and could lead to some interesting opportunities in the future.